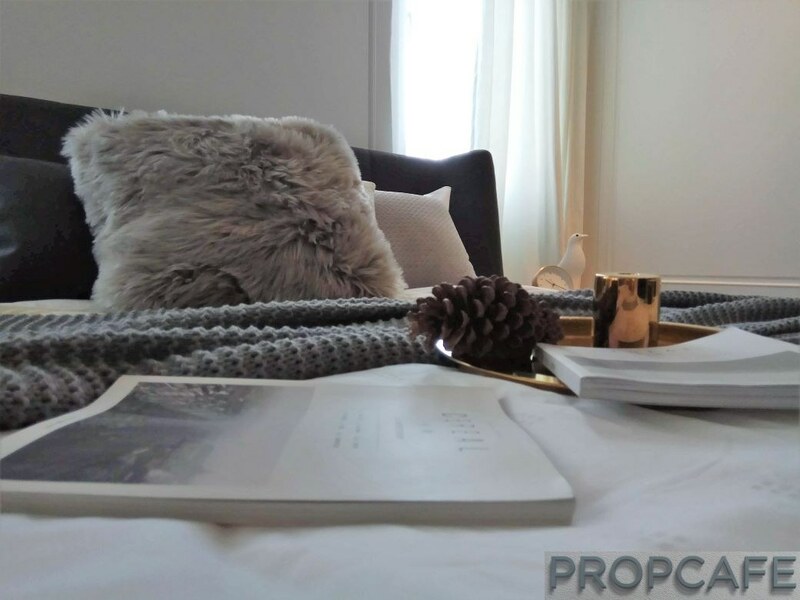 PROPCAFE’s passion in property review is pretty much known among our ardent readers and YES our enthusiasm is pretty much reflected in our in-depth review. 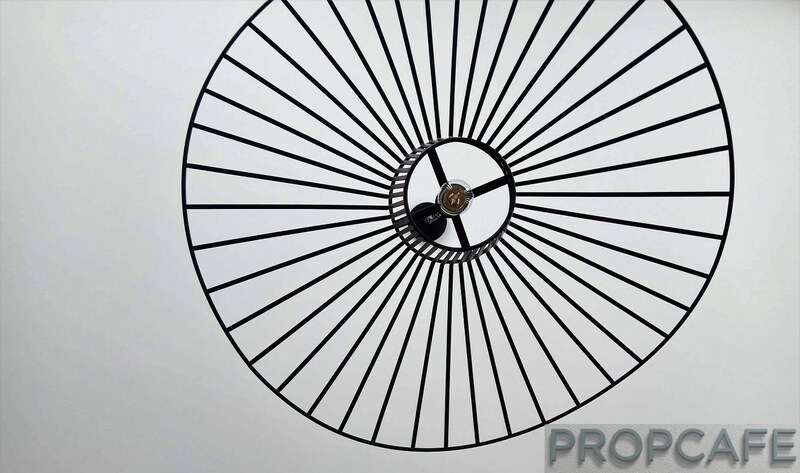 PROPCAFE will review a project that piques our interest and it doesn’t stop there. 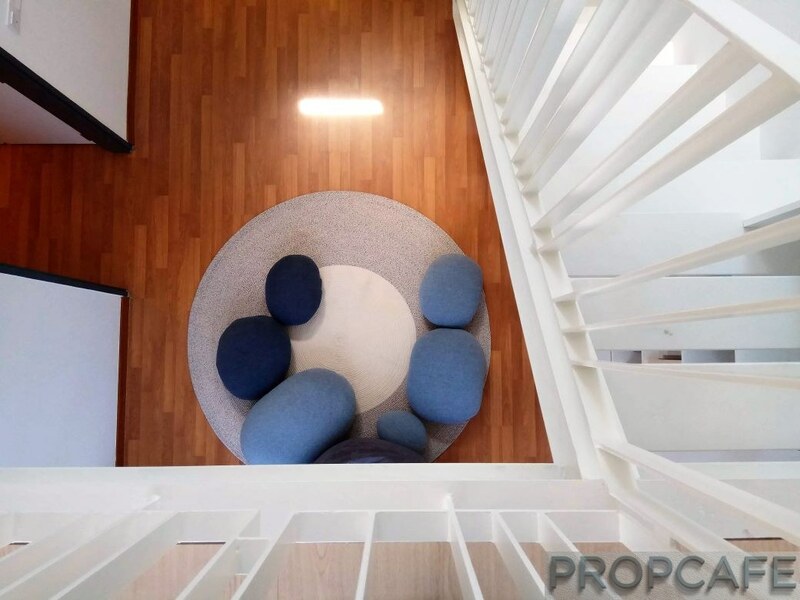 Occasionally upon VP, PROPCAFE are invited by friendly owner or developer for LSB (acronym for Lawatan Sambil Belajar) for a 360 degree review on these projects. Dengkil and Salak Tinggi have welcome few developers such as Paramount Properties, Glomac, IOI Properties and SunSuria for the past few years. However, awareness among house buyers can be quite understated. For example, do any of the readers aware that flyover upgrade work has started for Simpang Empat Kampung Semarang? With the completion of this flyover, it will reduce traveling time by at least 10-15minutes during peak hours. 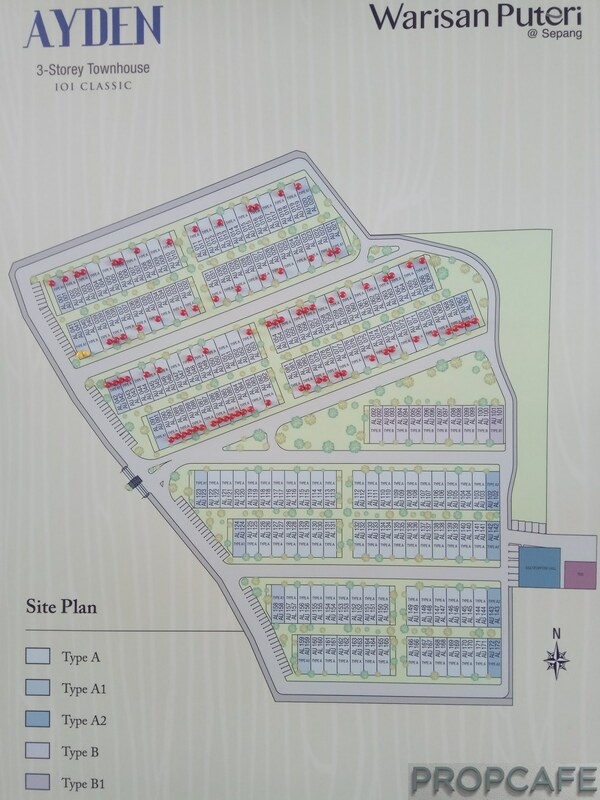 The lack of knowledge and marketing what’s going on here is probably attributed to smallish township developed by these developers and no cohesive plan among them to create awareness of this area. 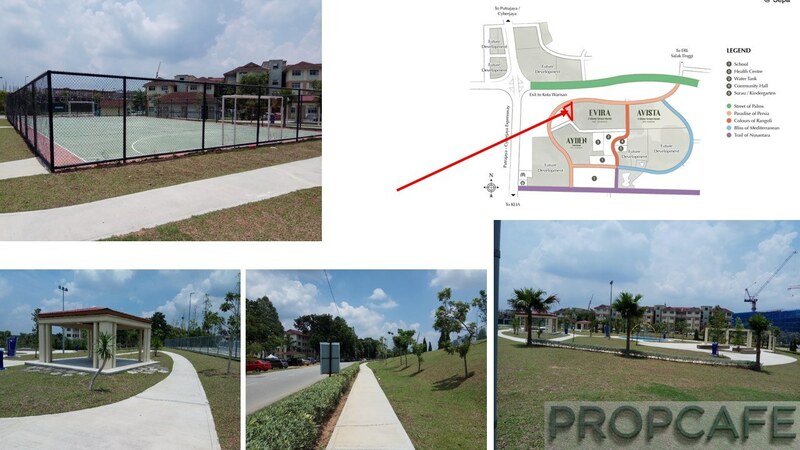 Developers in areas such as Semenyih, Puncak Alam, Canal City etc. they own a big land banks and can afford to allocate sizable marketing budget for events and advertisement for branding and awareness purposes. For example, Eco Majestic @ Semenyih by EcoWorld the size is about 1000acres which is about the same size as the above townships in Dengkil and Salak Tinggi combined. 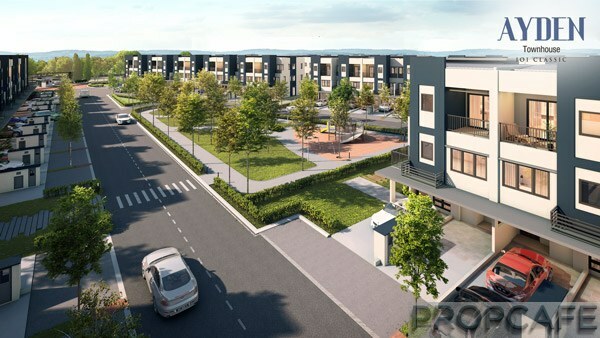 However THIS IS SET TO CHANGE with Sime Darby Properties (SDP) is slated to officially launch first phase of residential phase of 1775 acres Serenia City this month. What does means to other townships in Dengkil and Salak Tinggi? For a start, with the entry of big townships in this area, there is investment for infrastructure upgrade and additional amenities. We will come back to this shortly. 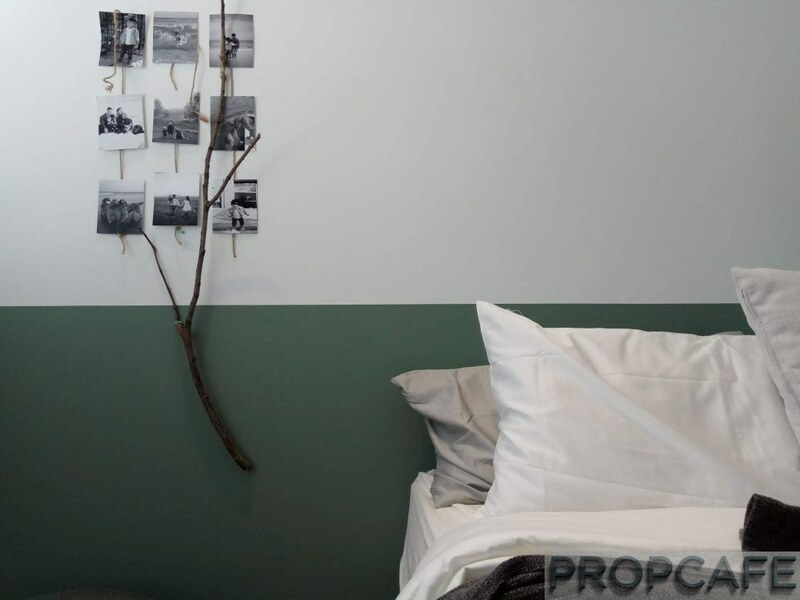 PROPCAFE was told that latest residential launch of Keranji@Greenwood, 20X65 double storey terrace house was fully taken within a day of soft launch. And the first phase of Serenia City residential project, Amani @ Serenia City 20X70 double storey terrace house was launched over the weekend. And guess what, 126 units offered under phase one were fully sold out within hours. The demand is testament of high interest of home buyers in Dengkil and Salak Tinggi. This is not a surprise as from our check with IOI salesperson the first two phases of Warisan Puteri have encouraging take up. 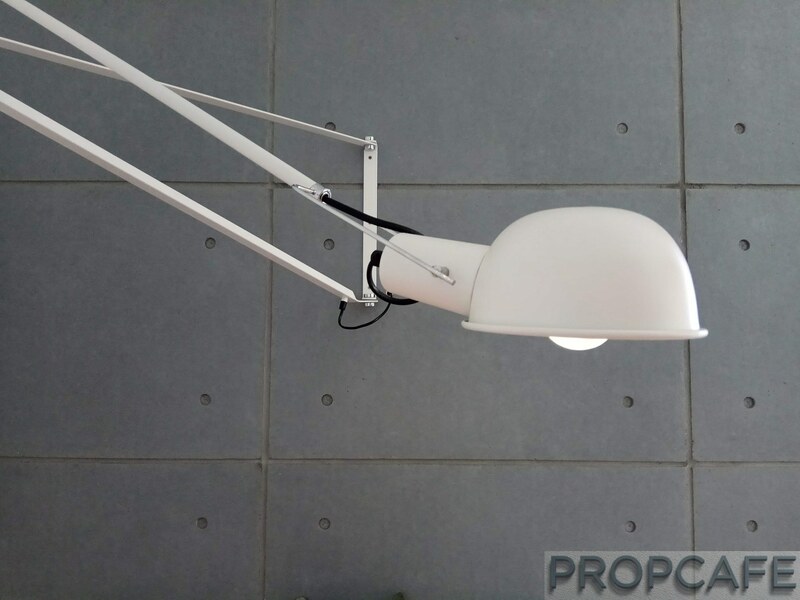 PROPCAFE was told 50 units in Evira were rented by Xiamen University as accommodation for their lecturers. The rest of Evira were fully taken up. That’s translated into 75% sold status. 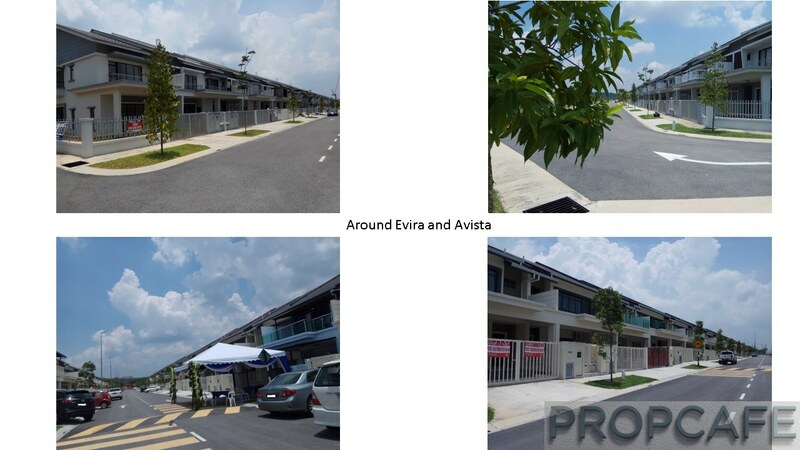 For Avira despite premium price where it was launched from RM663K for 2,277sqft 22X75 Double Storey Terrace House it was almost 100% sold with only one unit left for sell! 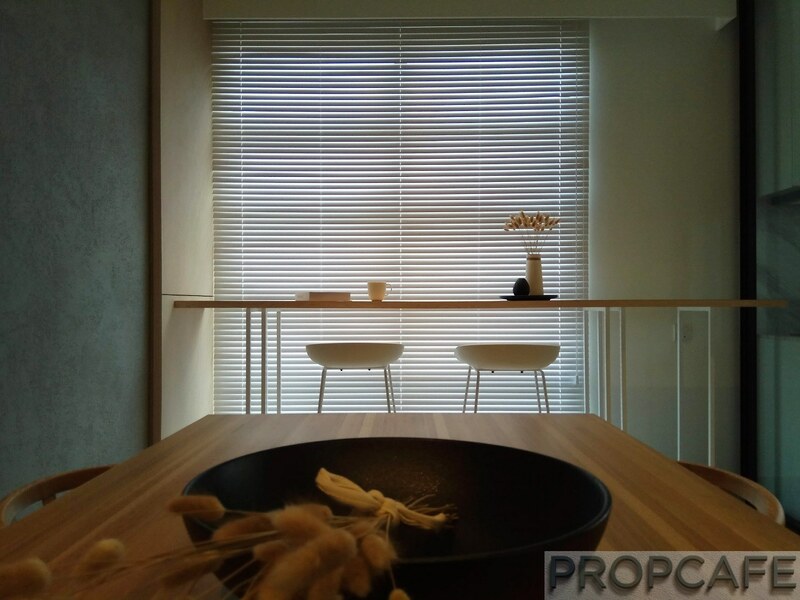 In fact PROPCAFE was told that IOI Properties has revised the price couple of time and yet the buyers are OK to with it. The good take up can be attributed to proven and good developer reputation, excellent building architecture and quality finishes, “Fenced and Guarded” precinct despite individual title and finally the location with easy access to amenities, access and public transport. Interestingly, despite the perception that Dengkil and Salak Tinggi are predominantly populated by Malays, from the salesperson feedback, Chinese purchasers forms quite a large number of purchasers in both Evira and Avista which is healthy to balance the demographic of the area. 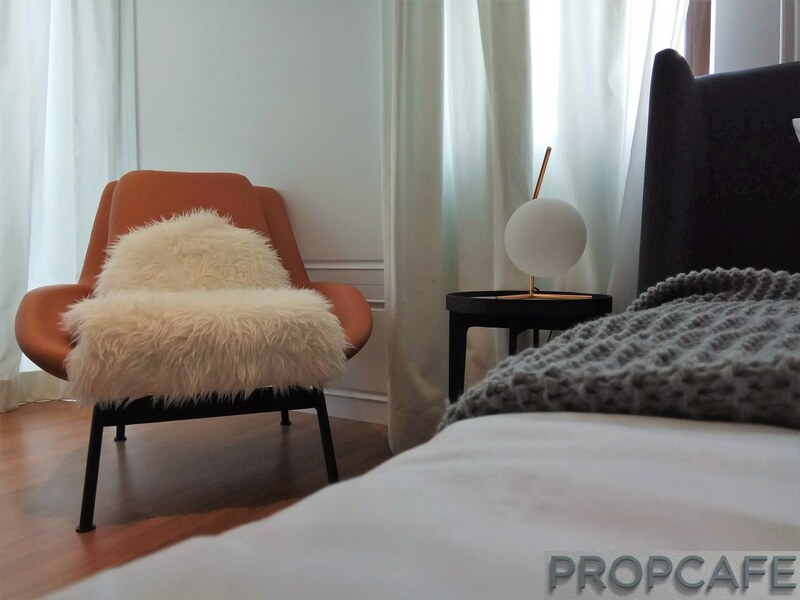 During PROPCAFE walk around, it was observed that approximately 30% of the units in Evira are already occupied with couple of houses were still under renovations where else about 40% of units are already occupied and about 20 units still under renovation in Avista. This is quite healthy given that Avista was just VP-ed about one year ago which shows that majority is genuine home buyers. With healthy occupancy, the capital value will HOLD as majority of the owners are predominantly buy for Own Use and not for Flipping. 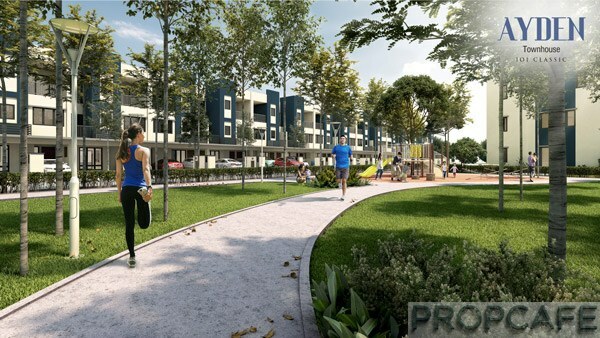 This month, IOI Properties will soft launch the 3rd phase of residential and the first strata development in Warisan Puteri. Ayden is a 3 storeys townhouse development. 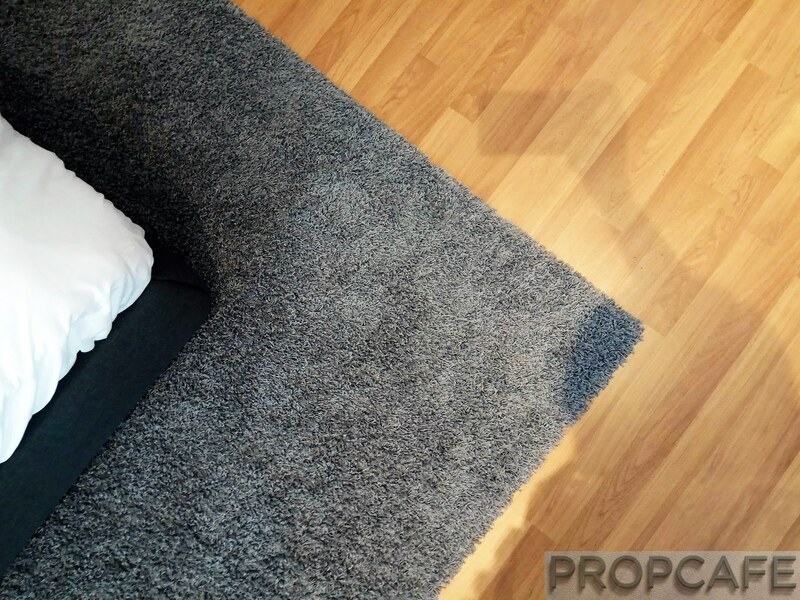 PROPCAFE checked out the development…. 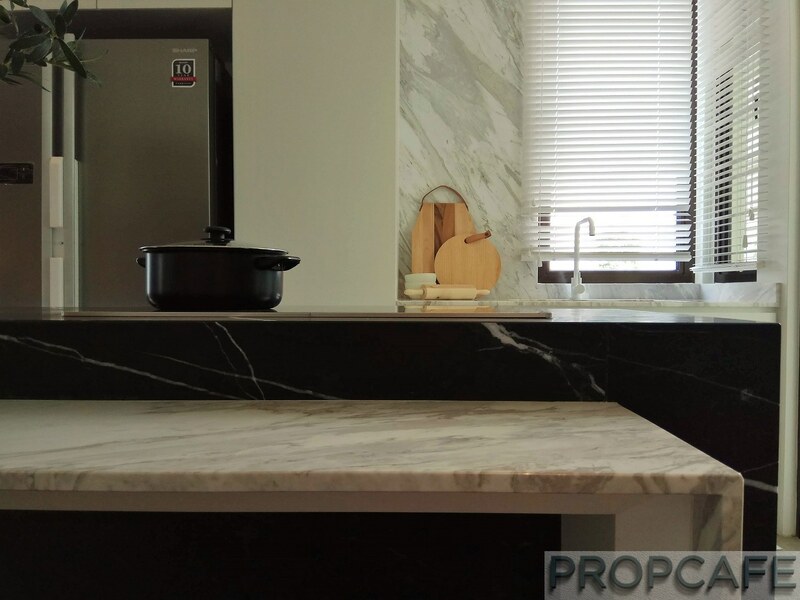 Despite Ayden being marketed as no frills and basic strata living, some of the signature features are incorporated by IOI Properties… Stay tune of PROPCAFE review…. 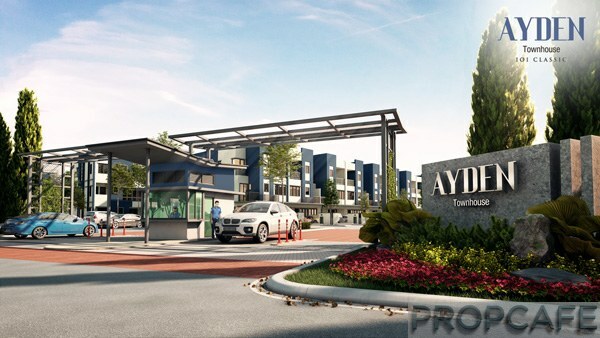 Located on 17 acres of Freehold land, Ayden is a stratified development and the 3rd residential precinct in Warisan Puteri. 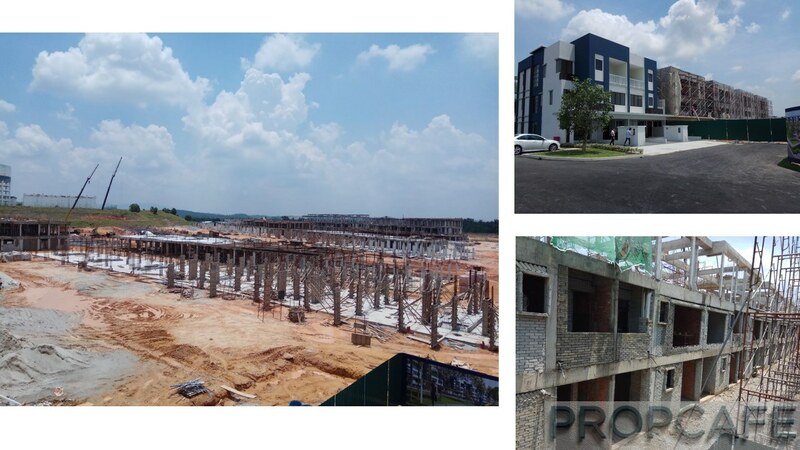 Consist of 344 units, RM160m GDV, Ayden will be developed over two phases with Phase 1 consisting of 202 units where else Phase 2 consists of the balance 142 units of townhouse. Green space occupies approximately 4.4 acres which forms approximately 26% of the entire precinct. With a density of 20units/acre, Ayden is slightly higher than the density for terrace house which is normally around 14-16 units/acre. The façade of Evira and Avista is conservative design with tiled pitched roof, large window to allow natural sunlight and flat car porch roof. Suffice to say it is a pretty safe façade and most buyers can relate to it. 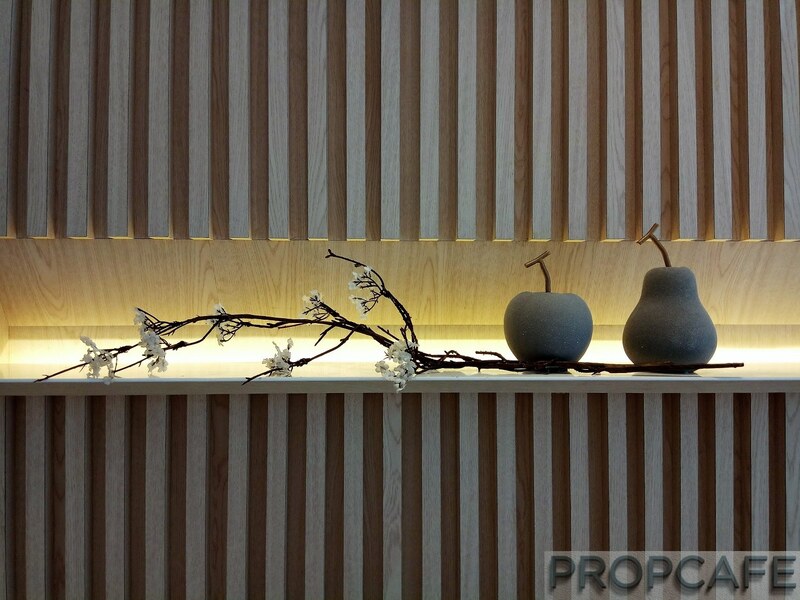 However for Ayden, IOI Properties has taken a bold step where modern cubism design is adopted as the façade. Unlike the predecessors, no more pitched roof where concrete flat roof is adopted. The balcony is interspersed throughout every level to break the minimalism look. The result is quite fascinating with choice of navy blue and white tones. It maintains its minimalism feel and yet the façade is contemporary. All the units are with North-South orientation. Please note that first phase will have a slight West-North and East-South orientation. The orientation promotes a better ventilation as well as reduces heat exposure from East or West sun. If you observe the site plan carefully, generous visitor carparks are allocated along the eastern perimeter. This is important to ensure visitors do not haphazardly parking along the road and block the access. Open concept and fenceless/gateless to promote communal living and create space between house. For better traffic control management, each entry and exit are allocated double lanes where each lane is dedicated for residents and visitors. Unfortunately to keep the maintenance fee low and no frill concept, PROPCAFE was briefed that the generous 20’ wide backlane will be kept as basic as possible without extensive landscaping. Personally PROPCAFE feel quite disappointed as we feel living value can be enhanced with just minimal additional effort from developer side. 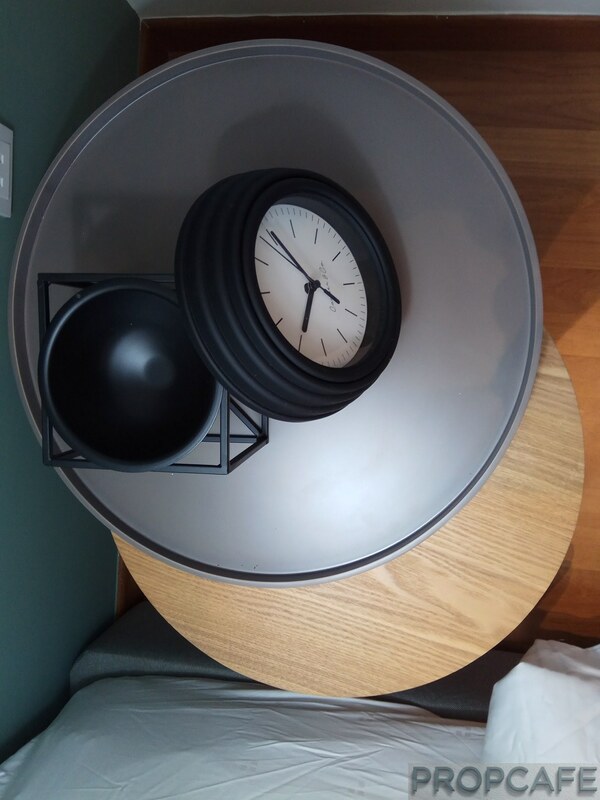 We were told that IOI Properties has prioritized the interior of the house with some of the design and fittings are “upgrade” for the price that they are selling.. Still…. To simplify the construction in general there are only two types (type A & B) as described below. 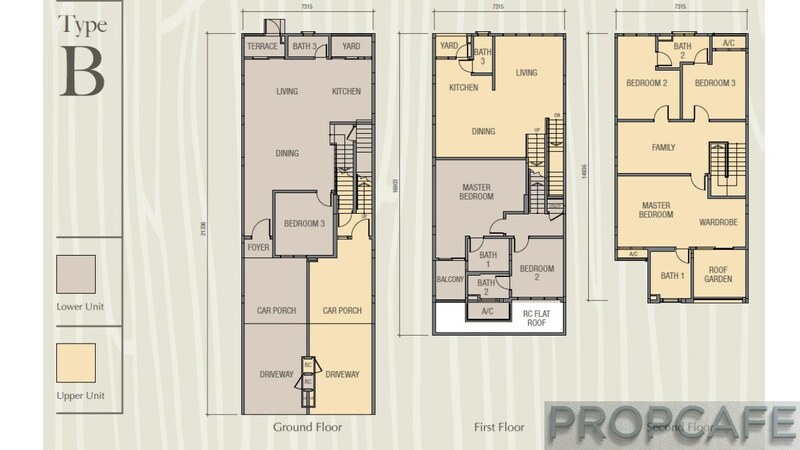 There are little splitting between type A & B with exception of location of bedroom 3 in lower unit. In Type A the 3rd bedroom is located next to the kitchen at the rear where in type B the 3rd bedroom is at the front. Practical layout. All bedrooms are ensuite with bathroom. The carporch can fit two mid-size sedan cars in tandem. There is enough space e.g. store, yards for a small family. Large size rear sliding door (lower unit) and window (upper unit) enable natural light to brighten up the unit. Open concept layout enables flexible placement of furniture and flexible allocation of space for dry kitchen, dining and living area. High ceiling height throughout all levels, 10’ for ground floor, 10.5’ for 1st Floor and 10’ for 2nd Floor. However at the family area, there is a pleasant surprise where the ceiling height is double volume. The unit feels spacious. All bedrooms are good size and can fit a queen size bed easily including sufficient space for wardrobe. Check out the master bedroom @ upper unit. It is humongous and is easily more than 250sqft. When PROPCAFE was at the site, the weather was hot and unfortunately not much of breeze. Despite the actual unit was yet equipped with air conditioners, when we were at 3rd floor, to our surprise, we didn’t feel stuffy or hot at all which is typically associated with flat concrete rooftop concept. The size of yard is quite small. Will not be able to fit in a clothesline to dry clothes. Carporch, store and bathroom are fully tiled to minimize the renovation hassle after VP. Aircon drain and copper piping are provided for living and all bedrooms. Owners can install aircon and place their compressors at designated compressor ledge. The façade will look tidier with all compressors tucked away and owner also saves renovation money. All water supply, drain and aircon piping are well covered under the RC roof and routed to center pillar for tidier façade without protruding beam. Fiber optic with internet ready upon CCC. Owners do not need to wait for service provider to get more users before starting the broadband service. Beamless ceiling throughout the living and dining area, family area and all bedrooms. 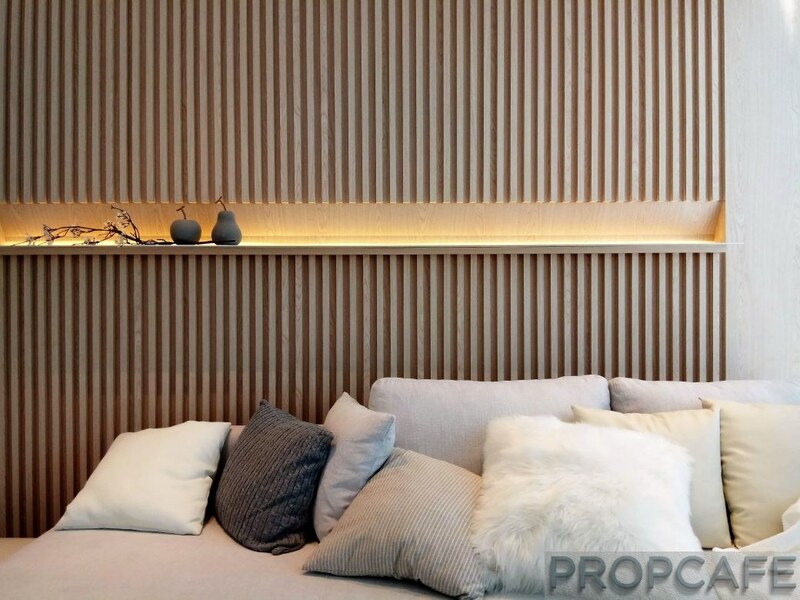 This will create more spacious feel and owners may not necessarily install plaster ceiling to hide the hideous beam. With the exception of the upper unit where dining and living area are joined, the beams are unavoidable. Instead of wood door, generous aluminium frame sliding door is provided at the 3rd bedroom and kitchen leading to yard for lower unit. The sliding door also allows more natural sunlight to permeate inside the unit. Decent sanitary ware design with shower screen and water heater points are provided in all bathrooms. 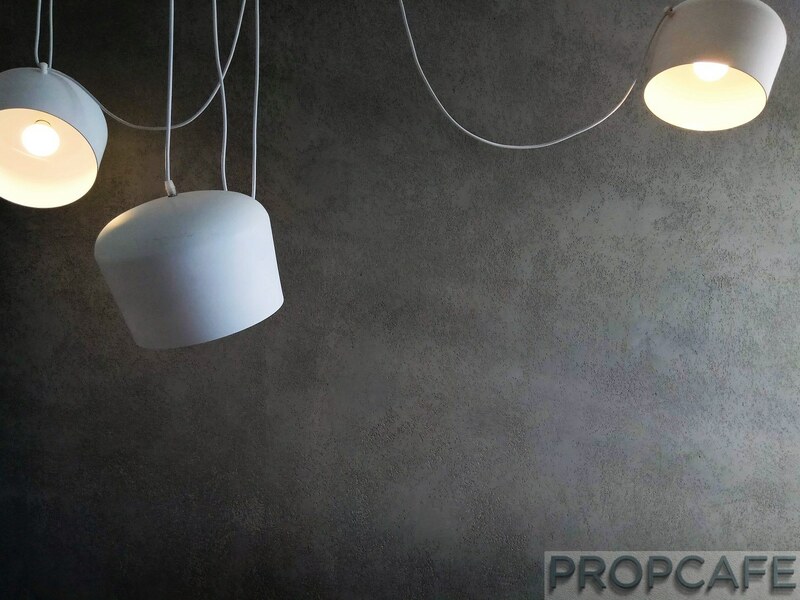 What PROPCAFE would like to touch on is the humongous ceiling height in family area @ upper unit. If readers could recall in Avista review, the ID house illustrates what owners can do with the double volume space such as creating a mezzanine deck for study area or children playing area. 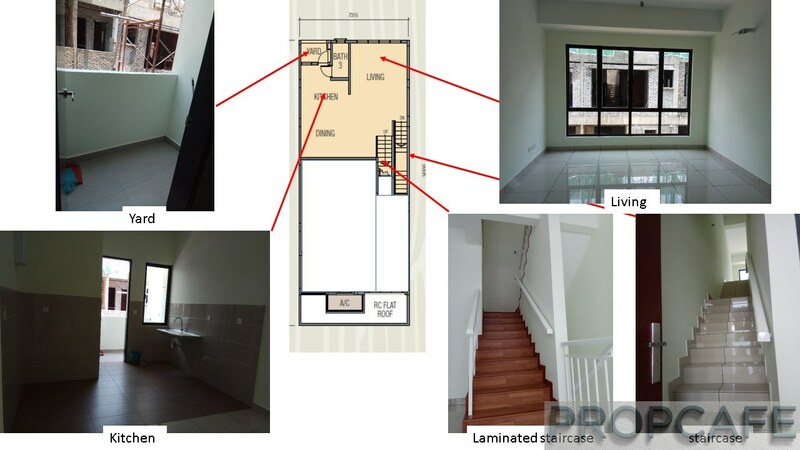 If owners need additional space such as study area, bedroom or multipurpose space, owner can choose to erect a mezzanine deck adding another 144sqft into 2142sqft, with a total of 2286sqft built up! 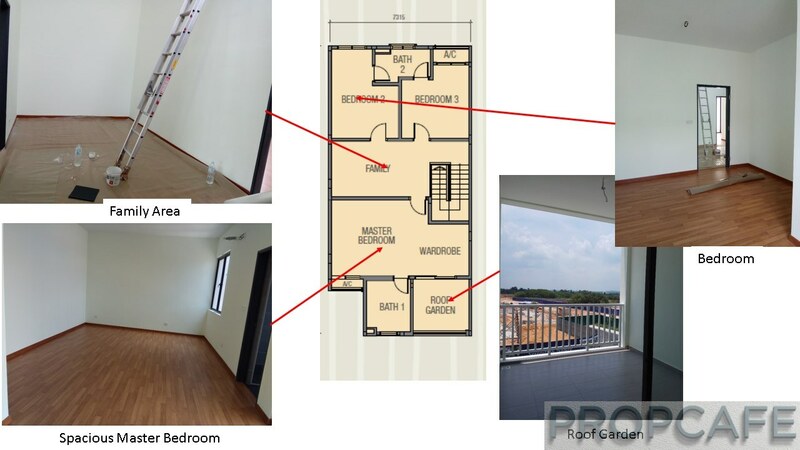 This built up is equal to 22X75 Avista where the built up is 2,200sqft and cost RM660K. This is major benefit where owners get more value from choosing a townhouse. There are few enhancements of the actual unit versus the show unit. One of the examples is the entrance of the bathroom will be upgraded to tiles instead of laminated flooring for ease of maintenance. Please check with the friendly SA the proposed enhancements. 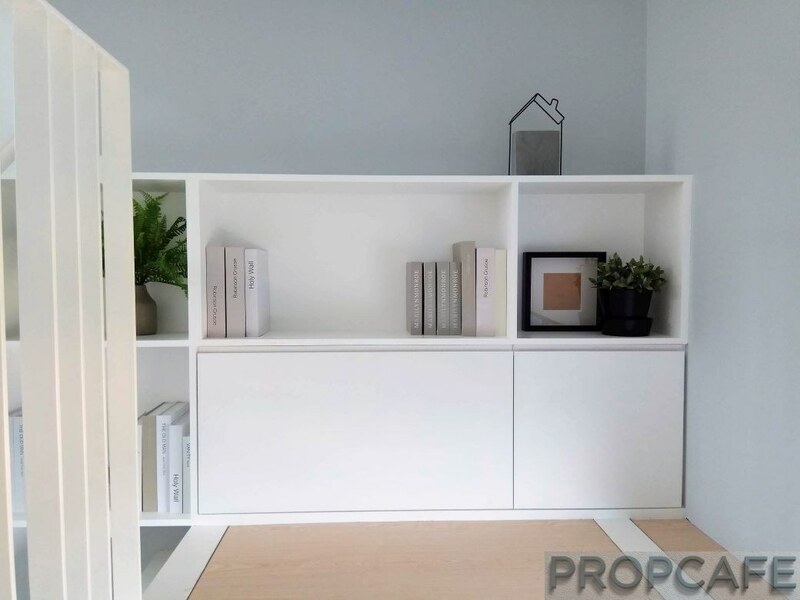 Ayden showunit just completed recently PROPCAFE was quite excited and dropby to IOI Sales Gallery last week to visit the sales gallery. Enjoy the picture! The show unit was completed and construction of the units on the same row is at advance stage. In fact IOI Properties has gone ahead to complete the piling work for first phase. This is similar to earlier phase like Evira and Avista where the precincts were delivered ahead of schedule. Ayden is stratified and contractually as per Schedule H the precinct will take three years for completion. However the first phase is expected to be completed in less than 2 years by first quarter of 2020. The second phase launching and construction will depend on the demand and response of first phase. 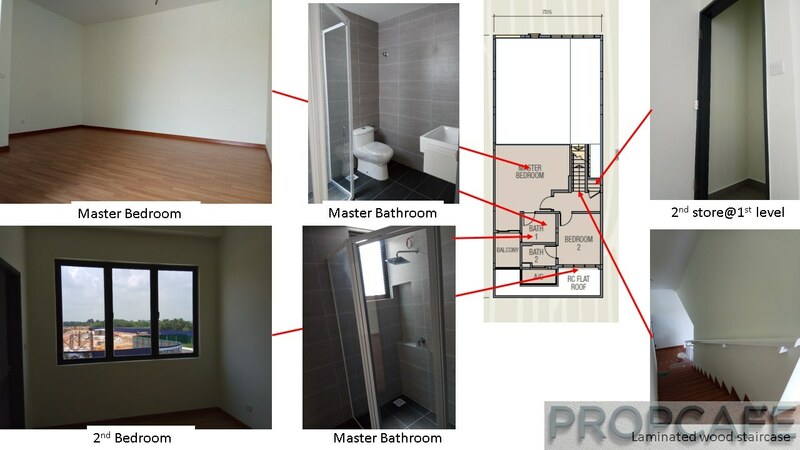 The price starts from RM460k for typical intermediate unit upper unit. 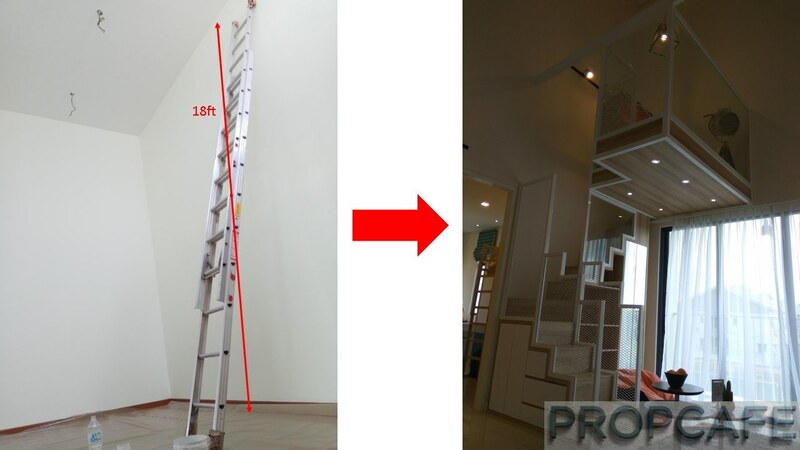 For a 2142sqft built up, the PSF is translated into just RM215psf! The lower unit despite smaller built up is pricier than upper unit. The maintenance fee is currently set at RM0.08psf where type 1 1851sqft and type 2 2142sqft will only pay RM148 and RM171 per month. 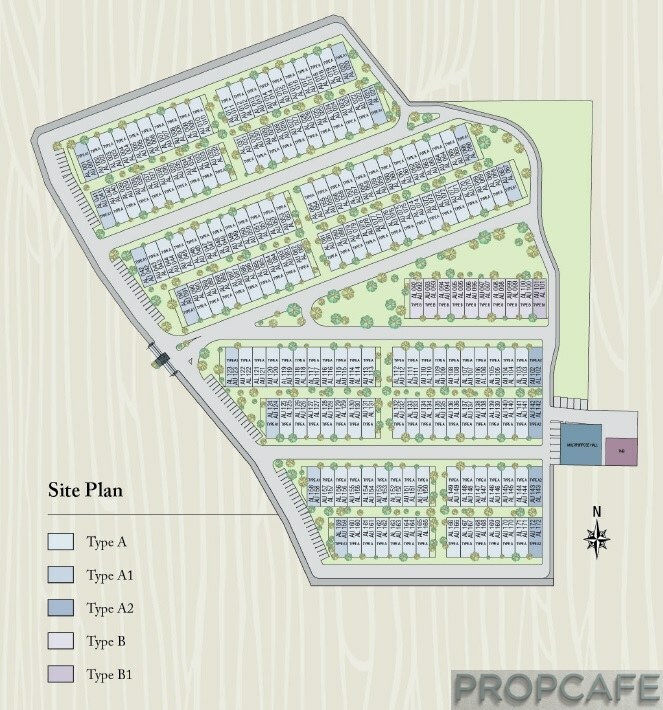 Pretty affordable for security and basic amenities residents will enjoy in Ayden. Ayden just opened for booking about 2-3 months ago and despite without much publicity the first phase of Ayden was about 40% booked. Out of 202 units opened for sale in first phase, 82 units were booked and currently SPA signing are in progress. Apparently the booking for lower and upper unit were quite evenly split out. Check out the Shootout! Lower Unit versus Upper Unit below. In our view, the booking status was considered good given that the property was opened for booking just a month before election. Furthermore the show unit just completed recently. Compared to recently sold out headline in Serenia City and Greenwoods, these are conventional individual titled double storey link houses where else Ayden is stratified townhouse living concept in GnG precinct. The booking status is a testament that despite being unproven concept in this growing corridor, as long as the you having good layout and finishes, reputable developer, amenities and infrastructure and of course price, it will be well accepted by the buyers. Now the big question is the lower unit or upper unit? Let’s do some shootout between the two…. If your priority is to have your car on the same level as your unit for ease of logistic, then lower unit is definitely a better choice. Bigger Built Up. 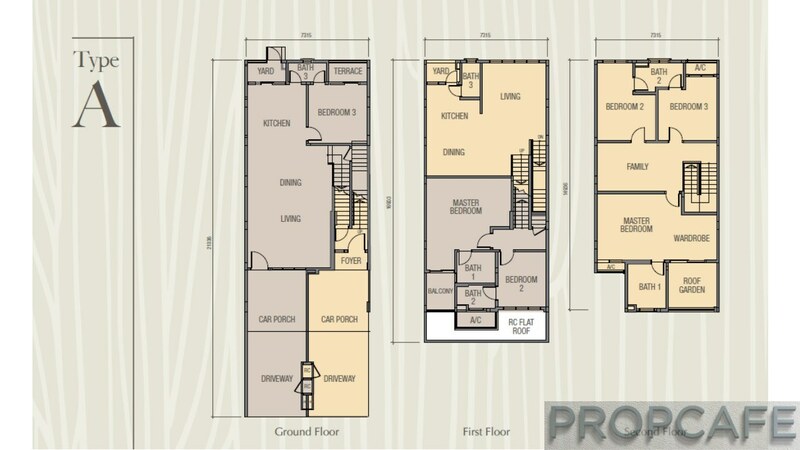 In Upper Unit you get 2142 sqft versus 1851 sqft (16% extra built up). Not only that, you are paying RM15K lesser for bigger Built Up. 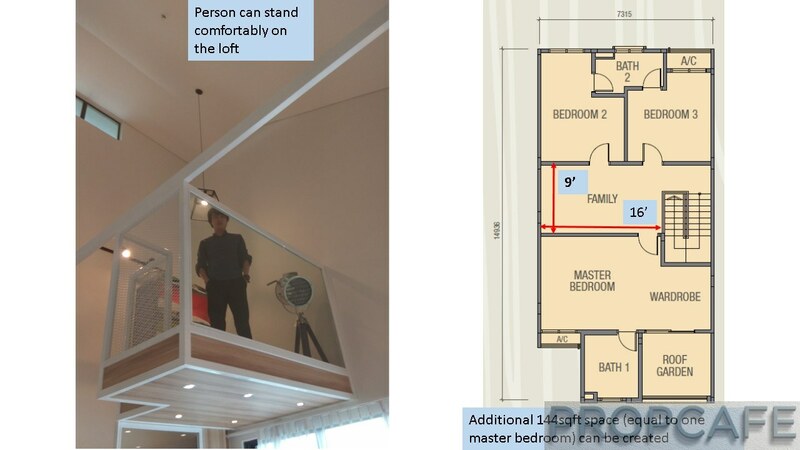 On top of 3 bedrooms, you are getting a double volume family area where mezzanine deck can be built easily which can add up to an additional 144sqft to the built up. The master bedroom is simply humongous! There is a space for walk in wardrobe and roof garden. 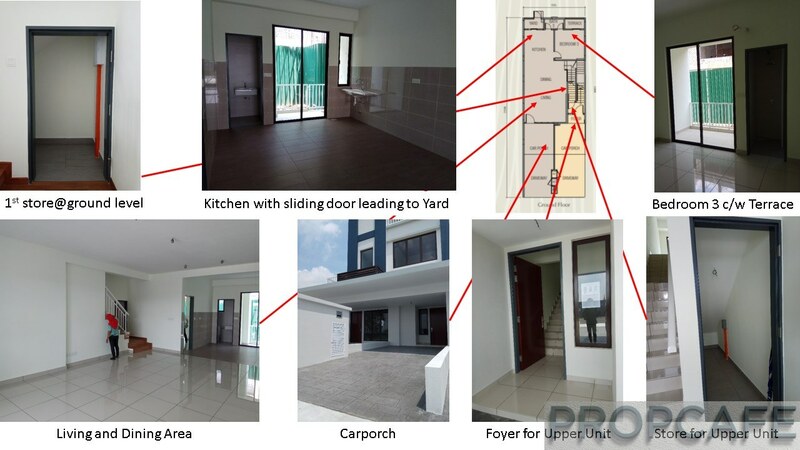 The built up of upper unit is almost equal to double storey terrace house, suitable for a small family. PROPCAFE’s last visit to Warisan Puteri was about 1.5 years where KIP Sentral was still pretty empty and Evira and Avista were already in advance construction progress. 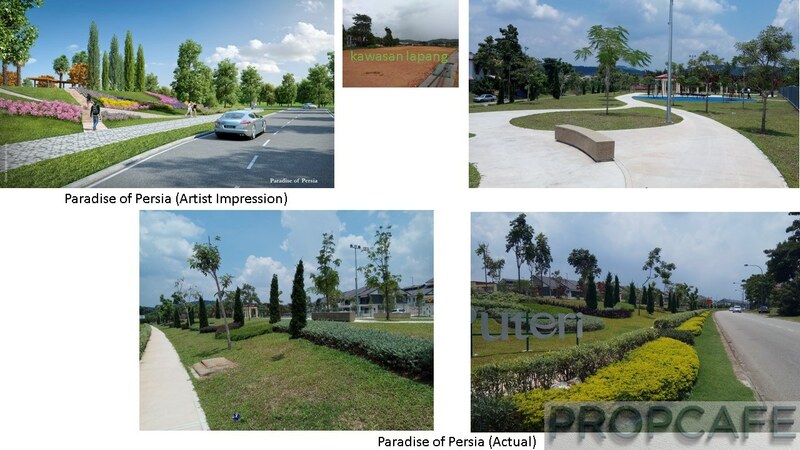 There was commitment from IOI Properties to landscape the pocket of empty land based on few themes such as Paradise of Persia, Bliss of Mediterranean, playground etc. 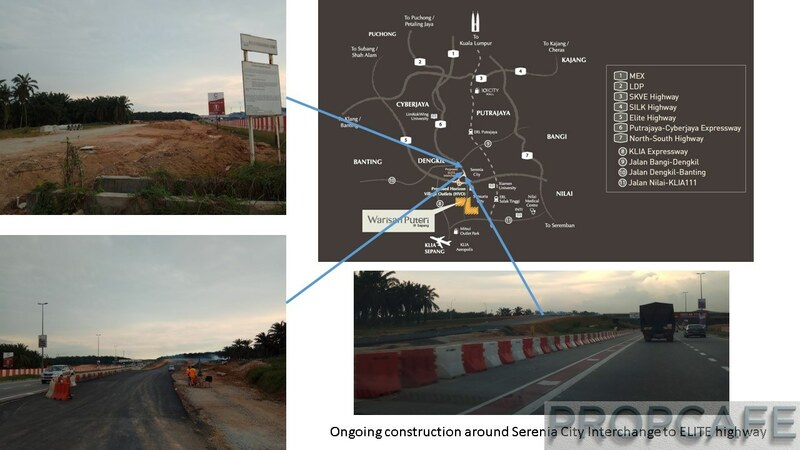 Fast forward today, there are significant improvements observed in Warisan Puteri. Still remember the empty plot of land in Avista review? This empty plot of land envisaged as Public Park has been transformed and landscaped to the theme Paradise of Persia with walk path along the township, gazebo plants and trees. 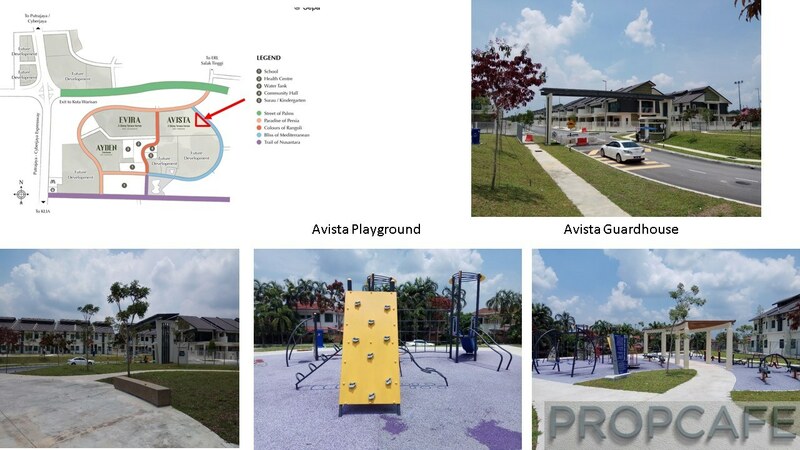 Similarly few pocket of empty land around Evira and Avista already landscaped with facilities such as Futsal court, playground and gazebos. 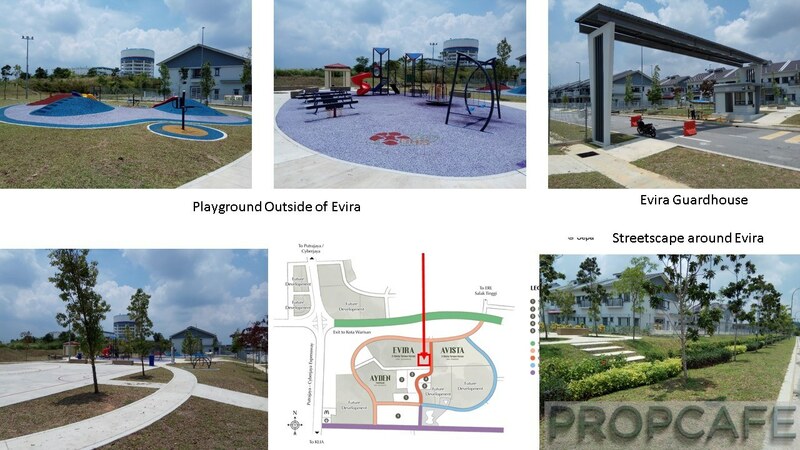 These facilities are built outside of the Evira perimeter so that the benefit is not only for Warisan Puteri but for Kota Warisan residents as well. Quite impressive playground equipment is provided outside of Evira and Avista perimeter for the enjoyment of the children. 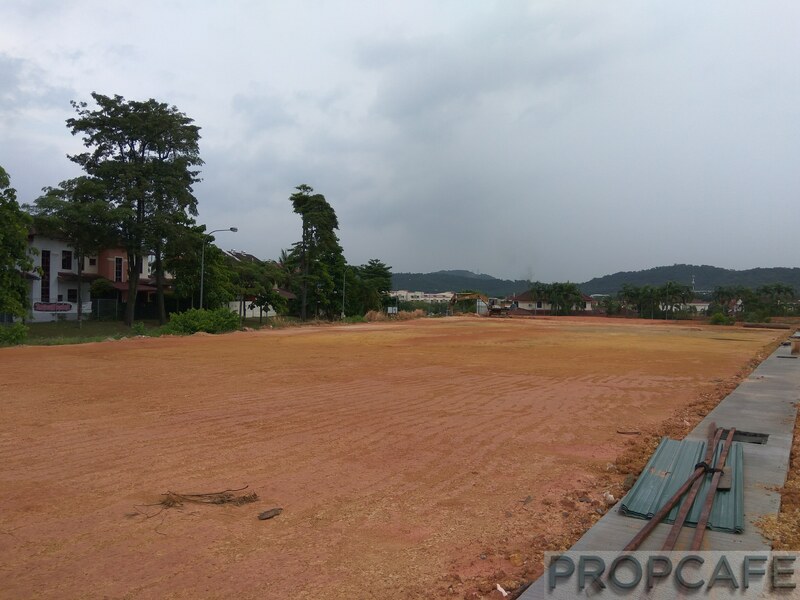 There is a half basketball court to cater for a variety of sports within Warisan Puteri. Staying true to the commitment, IOI Properties has erected the guardhouse and currently manually manned by guard while waiting for the utilities connection for FULL operation of boom gate through access card. Currently the main commercial area serving Kota Warisan is KIP Sentral and Mall. The commercial area, despite pocket of shop lots are still available for rent/sale, has turned out to be pretty vibrant. The amenities and services are sufficient to cater for the needs of the residents from eateries, clinic, grocers, laundry, budget hotels, car repair, accessory and tyre shop, pet shop, bank, hardware, clothes boutique etc. In fact there is a traditional foot massage as well! With the completion of The CORE and Glomac shop lot across the main road, there will be more options and alternative for the residents…. The construction progress of Horizon Village Outlet (HVO) currently at piling stage without any superstructure is in sight and seems to be behind the schedule. 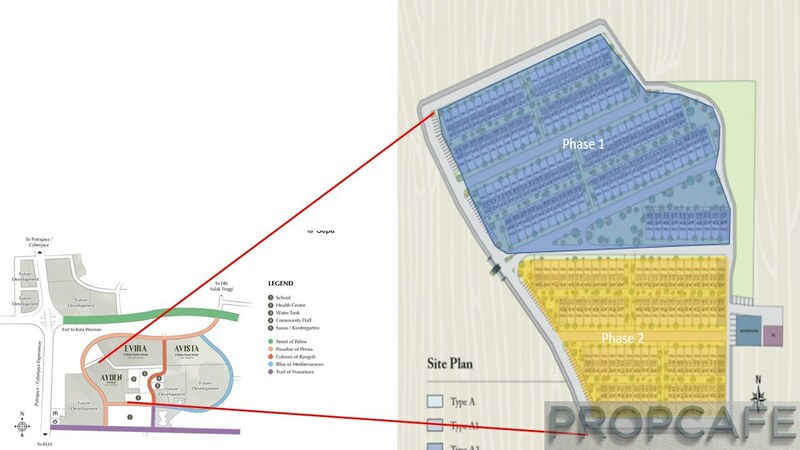 Despite that, HVO is expected to be opened by Mid of 2018 (http://www.theedgemarkets.com/article/horizon-village-outlets-expects-attract-10-million-visitors-within-year-opening), it’s very unlikely and some delays in official opening is inevitable. Hopefully HVO management will come out with new target date for the official opening. With the completion of HVO in the future, it will provide more shopping option to the residents and lend more vibrancy to this area. Xiamen University were welcoming their February.2018 intake and latest student count as at December.2017 was 2650 students with 529 Chinese students, 270 Malaysian students and 30 students from other countries. In fact, due to lack of quality accommodation around Xiamen University, the university has arranged for the lecturers to be based Evira. PROPCAFE feels that Dengkil and Salak Tinggi have been underrated versus other areas due to low publicity (and profile) by developers. 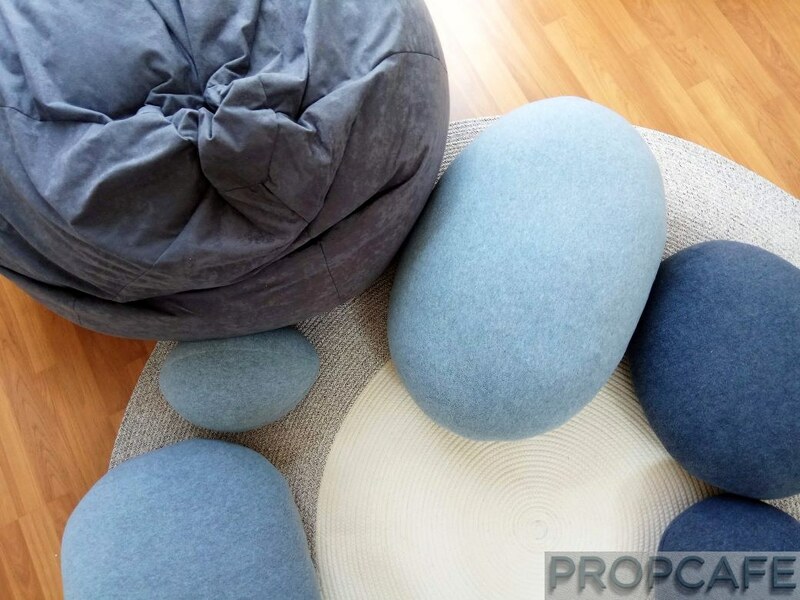 Despite the high sales achieved by the developers even for the newly launches, PROPCAFE feels that publicity, marketing and events to be organized so that people can drop by and have a feel of the changes happening in this area. A quote from famous developer “If you can attract prospect buyers to come to the show unit, the job is already half done”. Back to the update for a start, SDP is constructing an interchange to ELITE along Jalan B29. The interchange is to improve the accessibility for the massive 1775 acre Serenia City. However, obviously the benefit is spilled over to the neighbour townships as well. In the past, the nearest highway interchange is located at KLIA which is easily 13km away. Warisan Puteri township is located just 3km away providing a smoother ride to Kuala Lumpur, Petaling Jaya and Subang Jaya and will easily shave 10 -15 minute from journey time. The construction work is at advance stage and is expected to be opened in October.2018. One of the very important news is the physical work for Kampung Semarang Simpang Empat which was announced in July 2016 has started! This stretch is famous for choked traffic during morning and afternoon peak hour and you may easily get caught in the traffic for 15minutes especially with no police manning the traffic. The RM100m bypass flyover construction is expected to take 3 years with completion in 2021. With the completion of this flyover, it will provide a TOLL-FREE and Traffic Light Free access to Putrajaya, Cyberjaya and MEX highway to Kuala Lumpur. This bypass flyover is crucial because many homebuyers hesitate to buy house beyond Simpang Empat due to notorious bottleneck. 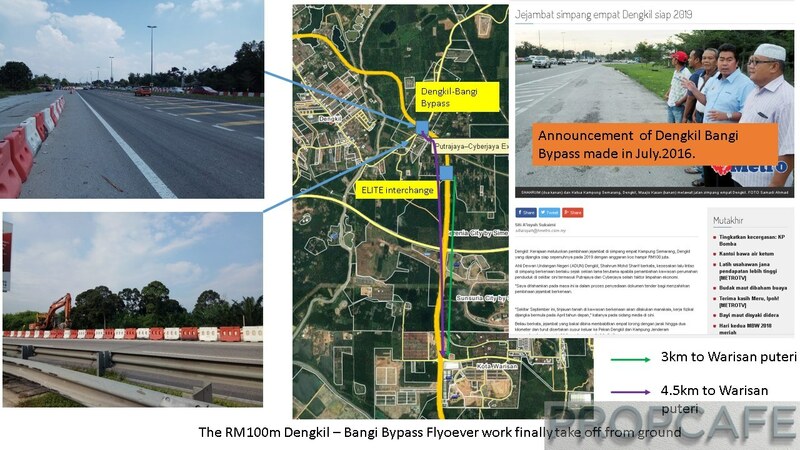 Another news is without the need to use jalan B48, SEPANG residents will save 10 minutes in travel time when the RM80million project B20 route connecting Kota Warisan to Bandar Baru Salak Tinggi is completed in three years. Currently most of the infrastructure upgrade and mall works are still ongoing with Serenia City interchange to ELITE is on course for completion this year. When all these infrastructure upgrade and mall are completed, this part of Klang Valley Southern Corridor will be more vibrant, accessible and habitable. PROPCAFE is a big proponent of public transportation system since we are attaining developed status as city. PROPCAFE believes paradigm shift will happen in next few years despite the sporadic and still under developed public transportation system especially with MRT and HSR projects. 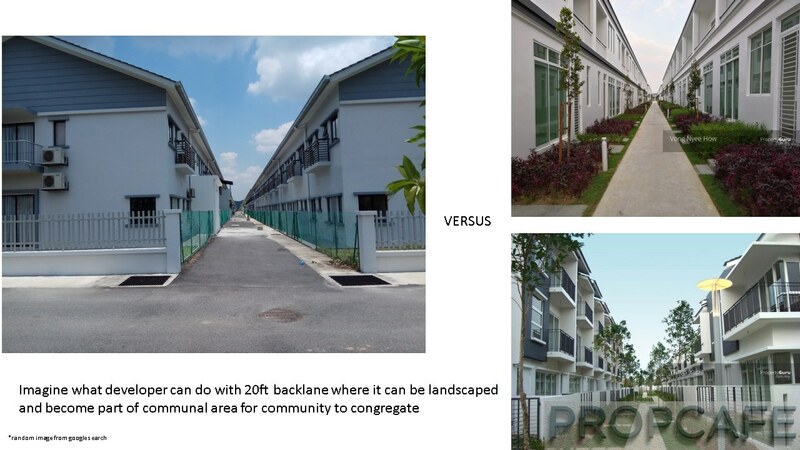 Nevertheless, there are pocket of area that being overlooked by home buyers that well served by public transport. In PROPCAFE’s view, ERL is probably one the most efficient, punctual and best public transport in Malaysia (and possibly in South East Asia). 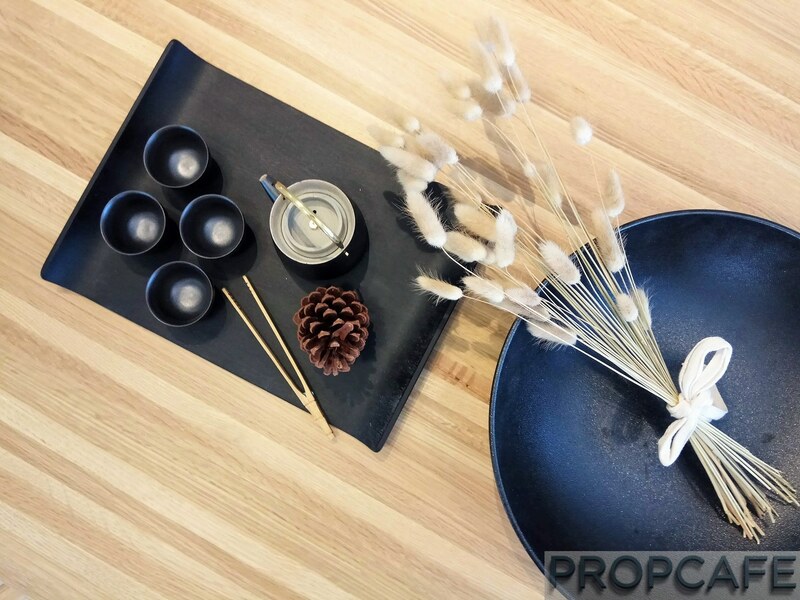 In our PROPCAFE reviews, we have shown plenty of amenities and infrastructure upgrade around Sepang. 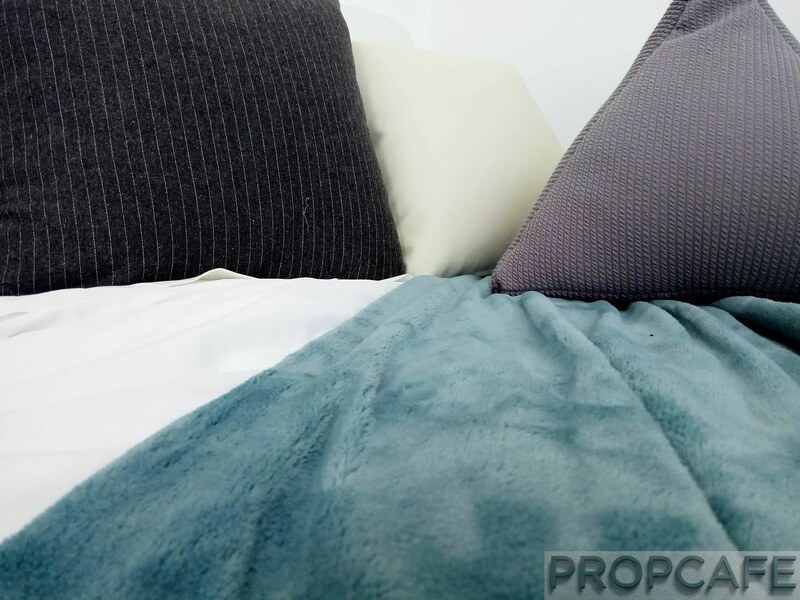 However, with this video, first effort produced by PROPCAFE, we hope that our followers can appreciate the conveniences of the home located so close to train station such as Salak Tinggi ERL Station. From Warisan Puteri to Salak Tinggi ERL station, it only take less than 5 minutes by car. Then from Salak Tinggi ERL station to KL Sentral (which about 45km), it only takes 20 minutes of ERL ride. Enjoy PROPCAFE’s first effort produced video! Leave your comments below and let us know your thought. The level of activities in this part of Klang Valley Southern Corridor has picked up with the number of public and private projects are approved. The opening of Serenia City interchange to ELITE in Oct 2018 will greatly improve the accessibility. Easy access to highway is akin of artery of a township. 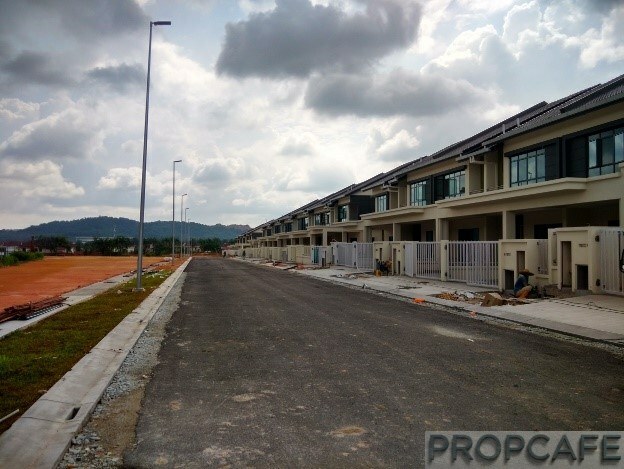 The high take up of Warisan Puteri earlier precincts with recent SOLD OUT news of First phase 126 units Amani@ Serenia City and 204 units in Keranji, Greenwoods @ Salak Perdana were fully booked in 1 & 3 hours respectively are testament to the high interest of home buyers in Dengkil and Salak Tinggi areas. Based on IOI Properties track record and proven reputation, added feature in the unit architectural, no frill stratified development with affordable maintenance fee, Ayden is expected to gather interest and doing well as well. 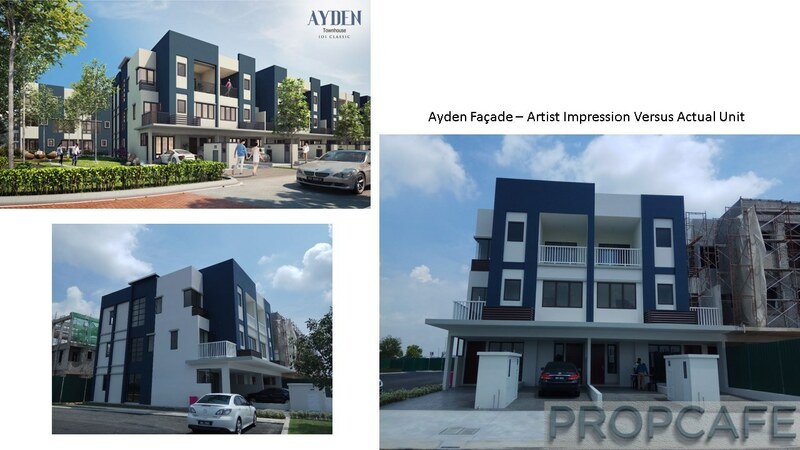 To conclude the review, the Ayden townhouse and its value proposition for prospective home owners who are looking for a large home at minimum outlay. Business hour : Mon – Sat 9am to 5pm Sun & Public Holidays 10am to 5pm. 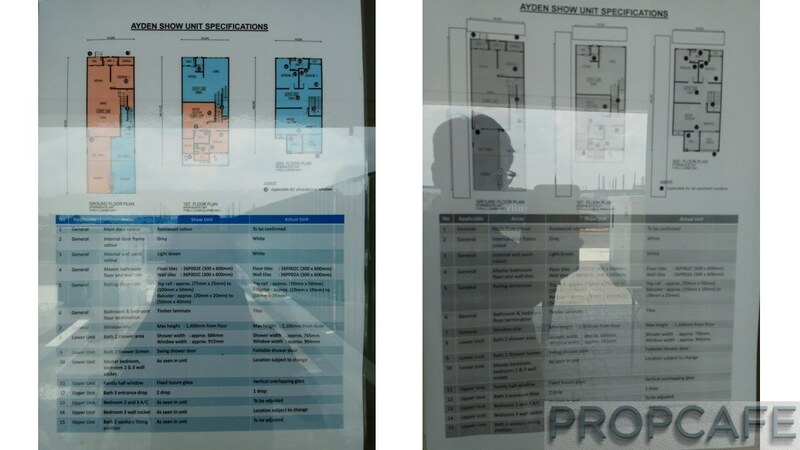 When will Propcafe review neighbouring project by Sime Darby (Serenia) ?